Mon., Oct. 30, 2017, 10:26 a.m.
MOSCOW – Russian President Vladimir Putin on Monday strongly denounced Soviet-era political repressions, describing them as a crime that should never be forgotten. 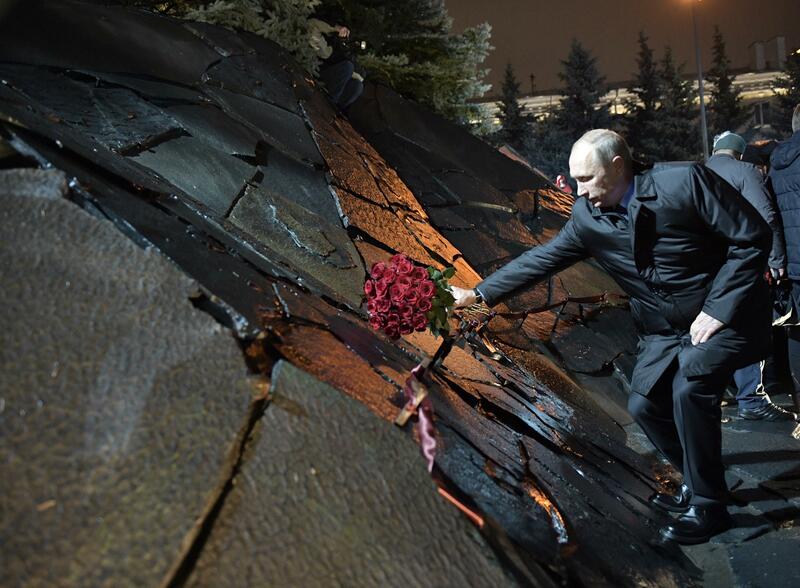 Speaking Monday at the opening of a memorial to the victims of purges, Putin said they dealt a blow to the nation the consequences of which are still felt today. The statement is the strongest condemnation yet of Soviet-era repressions from Putin, who has taken a cautious line on the nation’s Soviet history, trying to focus on its achievements rather than on Communist crimes. The condemnation of the purges contrasts with some other moves by authorities that Kremlin critics have seen as attempts to whitewash the image of Soviet dictator Josef Stalin. Over recent years, many in Russia have been dismayed by government-sponsored school textbooks that painted Soviet dictator Josef Stalin in a largely positive light and by the reconstruction of a Moscow subway station that restored old Soviet national anthem lyrics praising Stalin, as part of its interior decoration. Kremlin foes saw such moves as attempts to whitewash Stalin’s image and part of Putin’s rollback on democracy. While denouncing Soviet-era repressions, Putin also used the occasion to emphasize the need for maintaining political stability. Russian Orthodox Church Patriarch Kirill, who attended the opening of the memorial in central Moscow alongside Putin, said the new monument should help assess the nation’s past and heal the nation’s wounds, noting this is particularly important as the nation marks the centenary of the 1917 Bolshevik revolution next month. “Remembering the tragic moments of our history, people mustn’t feel gloom and despair, they must think about their descendants and the country they will leave to them,” he said. Published: Oct. 30, 2017, 10:26 a.m.